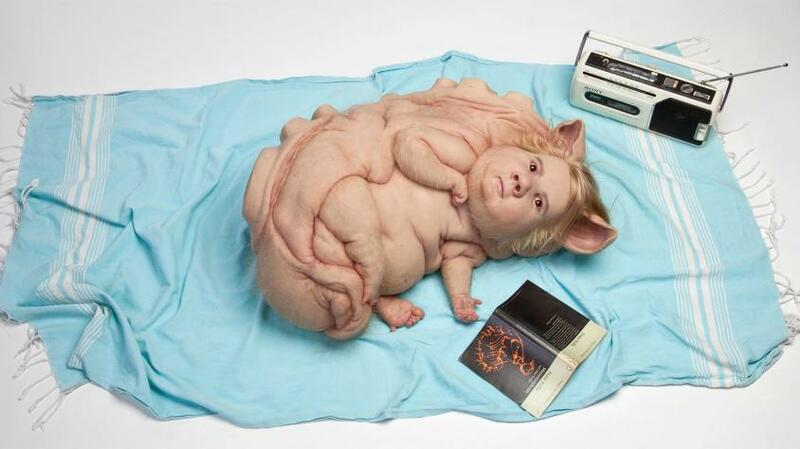 Vancouver Biennale: Patricia Piccinini's Curious Imaginings at the Patricia Hotel this Fall! The Vancouver Biennale is a non-profit charitable organization that exhibits great art in public space, creating a catalyst for learning, community engagement and social action. Frequently featuring internationally renowned artists, previous exhibitions include Giants by Brazil&apos;s OSGEMEOS on Granville Island, Trans Am Totem by Canada&apos;s Marcus Bowcott on Quebec Street, and A-maze-ing Laughter by China&apos;s Yue Minjun near First Beach, among others. Vancouver Biennale&apos;s 2018-2020 Exhibition continues with renowned Australian artist Patricia Piccinini&apos;s Curious Imaginings immersive sculpture experience. Taking over a floor of the 105-year-old Patricia Hotel in downtown Vancouver&apos;s Strathcona neighbourhood from September 14 - December 15, 2018, the exhibition will feature hyper-realistic human-animal creatures and will explore the social impacts of biotechnology, genetic engineering, digital technologies, and human interference. The 2018-2020 Exhibition kicked off in June 2018 with Saudi Arabian artist Ajlan Gharem&apos;s Paradise Has Many Gates, followed by Canadian artist Maskull Lasserre&apos;s Acoustic Anvil: A Small Weight to Forge the Sea, and Chilean artist Alfred Jaar&apos;s A Logo for America. For more information on Curious Imaginings and other exhibits, visit the website.